Following the recent approval of AbbVie’s Orilissa (elagolix) by the FDA, the Institute for Clinical and Economic Review (ICER) highlighted uncertainties about the oral pain relief medication’s long-term safety and clinical benefits, as well as cost-effectiveness over available alternative treatments. ‘‘Endometriosis is a common chronic, inflammatory disease, which according to GlobalData’s epidemiologists affects almost 10 million women of reproductive age in the * 7MM. While no cure currently exists for endometriosis, several approaches are used to treat the disorder and its associated symptoms with the main aim to alleviate pelvic pain and other symptoms, reduce endometriotic lesions, and improve the quality of life of the affected individual. ‘‘Since endometrial cell growth is dependent on estrogen, endometriosis is treated with approved or off-label hormonal therapies to inhibit endometrial growth, including oral contraceptives, levonorgestrel intrauterine devices (LNR-IUDs), progestins, and gonadotrophin-releasing hormone receptor agonists (GnRH agonist). While approved or off-label oral contraceptives and generic progestins are commonly used as a prolonged first line of therapy due to their relatively mild side effects and cost effectiveness, GnRH agonists are prescribed as the second line, usually for six months only, as a result of their high price-tag and more severe associated hypoestrogenic side effects resembling the symptoms seen in menopausal women, including reversible bone loss. 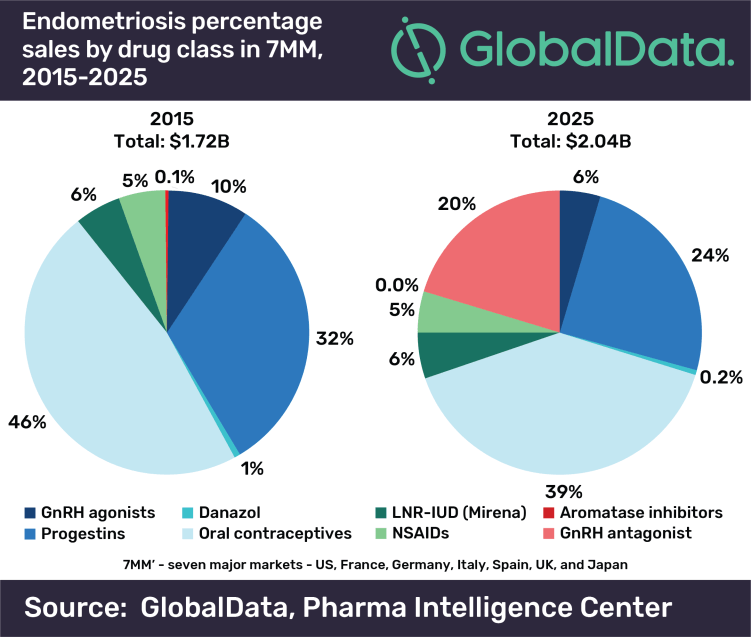 First-line therapies dominated the global endometriosis drug market in 2015, with oral contraceptives comprising almost 46% of sales and progestins about 32% of sales, while GnRH agonists contributed to only 10% of the endometriosis sales in the 7MM. ‘‘Results of the six-months Phase III parallel trials of Orilissa, second-generation oral Gn-RH antagonist, the Violet PETAL and the Solstice studies demonstrated reduced pelvic pain related to endometriosis compared to the placebo, and an extension study confirmed sustained pain reduction at 12 months. 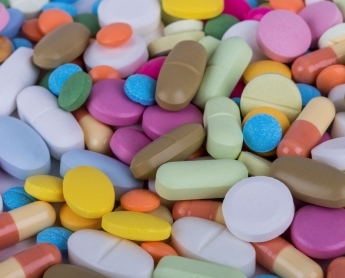 However, the ICER raised concerns about the drug’s long-term side effects and clinical benefit and suggested that payers consider prior authorization criteria for this drug to ensure prudent use, such as requirements for previous treatment with first-line therapy and limited pre-specified initial coverage period. * ‘7MM’ – seven major markets – US, France, Germany, Italy, Spain, UK, and Japan.